A student once asked his Rabbi, “Teacher, why does the Lord allow evil in the world?” The Rabbi responded, “With such a good question, my son, why would you want to ruin it with an answer?” Despite the Rabbi’s clever response, the question “Why does God allow his children to suffer,” remains an apt one—especially in light of current blows such as crashing economies, threatening epidemics, surrounding wars and rumors of wars. My students also ask me this question in various forms. Their pain behind the question drives me to search for answers—answers not to ruin the theological question or to solve a theoretical paradox but ones to encourage them through real hardships. I have studied the Scriptures to see how certain passages handle problems of suffering. But I also became curious as to how those who did not know Job’s God or Paul’s Christ answered such questions. One of my favorite extra-biblical responses to the problem of suffering comes from a first-century philosopher by the name of Seneca. 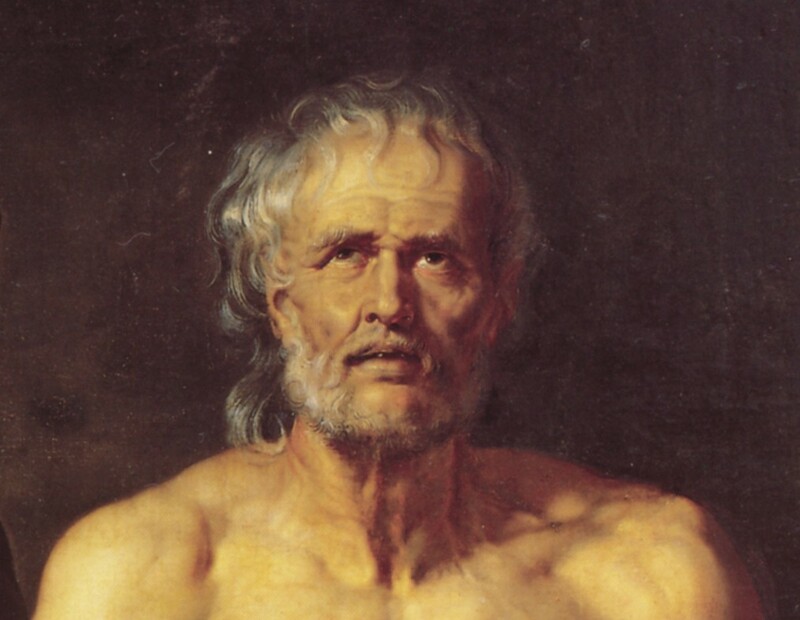 One of Seneca’s students put the question like this, “If Providence truly reigns supreme, then why does evil befall the good?” Seneca responds to his student by employing three similes: godly people who suffer are like (1) disciplined children, (2) proven soldiers and (3) victorious athletes. I will explore the first simile today and the other two tomorrow. Seneca’s approach to this question can help us think through the suffering we encounter. His words aren’t to be taken as Scripture, of course, but he can give us some perspective on what the biblical authors are saying. According to Seneca, if Providence (i.e., God) governs the world and cares for humanity, then “evil” should be reinterpreted as divine discipline. This is not discipline in the sense of punishment for human sins, but of training for divine service. God disciplines good people because they are God’s pupils, his legitimate children who seek to imitate their all-glorious Father. Like any good parent, then, God rears his offspring for virtue and fosters character in his sons through suffering. Tomorrow, I will explore Seneca’s two other similes for godly people enduring suffering: (2) proven soldiers, and (3) victorious athletes. Seneca was a contemporary of the apostle Paul. He lived in Rome and, like Paul, died by the hand of Nero. Seneca wrote a number of moral essays and epistles that have some striking similarities to statements in the New Testament. So much was this the case, that years later, someone penned letters as written from Paul and Seneca to invent correspondence between the two writers. See Seneca’s essay On Providence. The quotations of Seneca in this article are from John W. Basore’s translation in Seneca: Moral Essays, Vol. 1 (London: Harvard University Press, reprint 2003). Dr. Dodson teaches for Eternity Bible College and also serves as an associate professor of Biblical Studies at Ouachita Baptist University in Arkadelphia, Arkansas. He received his Ph.D. in New Testament from the University of Aberdeen in Scotland and was a guest researcher at the University of Tübingen in Germany. Joey is the author of A Little Book for New Bible Scholars with E. Randolph Richards; and The 'Powers' of Personification. Joey has also written a number of articles for academic journals as well as essays in various volumes. Moreover, he is the editor of Paul and the Second Century with Michael F. Bird; and Paul and Seneca in Dialogue with David E. Briones. Follow him on Twitter and Instagram @jrrdodson.